These days it is somehow considered a standard that if you go hiking, you must have hiking boots with rigid ankle support. That’s what I always thought, as well. The strongest ankle support I’ve ever had is with the Haglöfs Grym boots, which I have loved more for their waterproofness than the support, though. But now that the boots are leaking and I need something to replace them, I’m seriously questioning the need for support. Especially because I don’t like wearing heavy boots, and any hiking boot with a medium or high cut shaft by necessity is a bit on the heavy side. Another thing that bothers me about the support is that when the ankle is fixed in the boot, I feel a strain my knees. What I mean is when you walk on uneven ground (in normal shoes), your ankle flexes to swallow the bumps in the ground. And this is why everyone thinks that good ankle support is needed, it prevents the ankle from rolling and twisting. But when the ankle can’t flex, the knee has to do that, and the knee is just simply not as flexible as the ankle. I have a history with knee trouble so I definitely don’t like it when my knee is forced to move in ways it’s not naturally inclined to move. The great thing with ankles is that you can train them to be stronger so they don’t need the support from the boot. So instead of having constant support which only makes your ankles weaker, do some pre-season training to make your feet and ankles strong enough to do the job without support. Some people may appreciate the high shaft to protect their ankles from cuts and bruises, if hitting e.g. rocks or branches. But as I discussed in part 2 when talking about the barefoot concept, it’s a matter of paying more attention to the ground ahead to avoid hurting yourself. So my assumption is that I will not miss the protection, and I can’t recall any incident where I felt that the shaft of the boot saved me somehow. 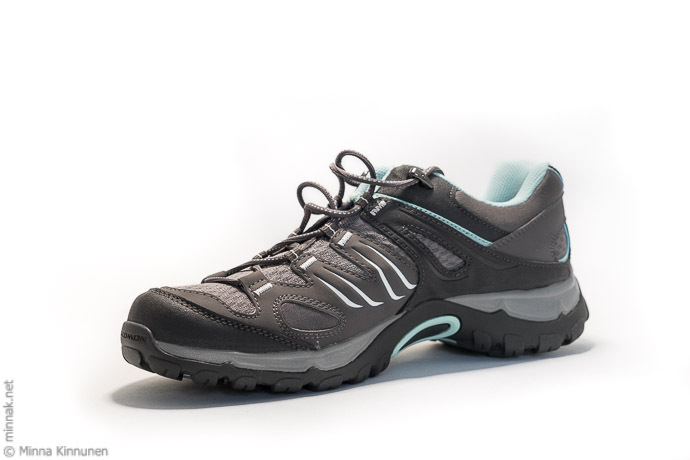 If you’re confident that your ankles are strong enough, then you can ditch the boots and go with hiking shoes instead. The biggest downside with this is that you will easily get debris inside the shoe, so you need gaiters. 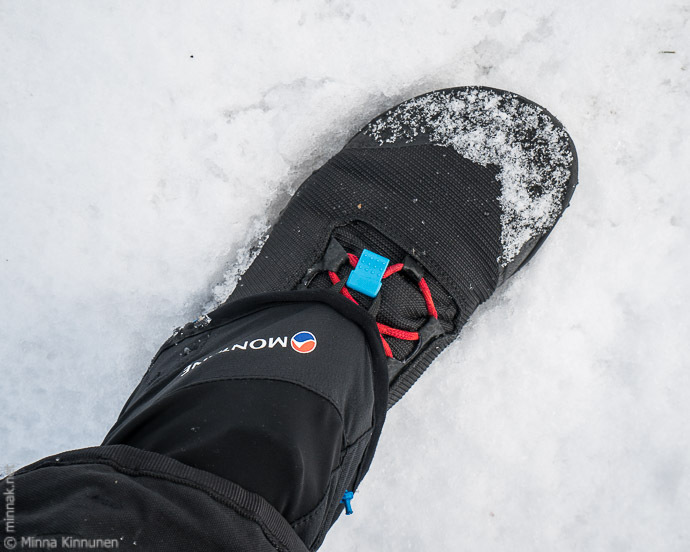 The good news is that there are some feather-light gaiters available, so you don’t need those cumbersome things that go up to your knee (while probably still leaving a gap between the top of the shoe and the bottom of the gaiter, so the problem is not solved anyway). The light gaiters are usually marketed for trail runners, but they obviously work just as well for hiking. 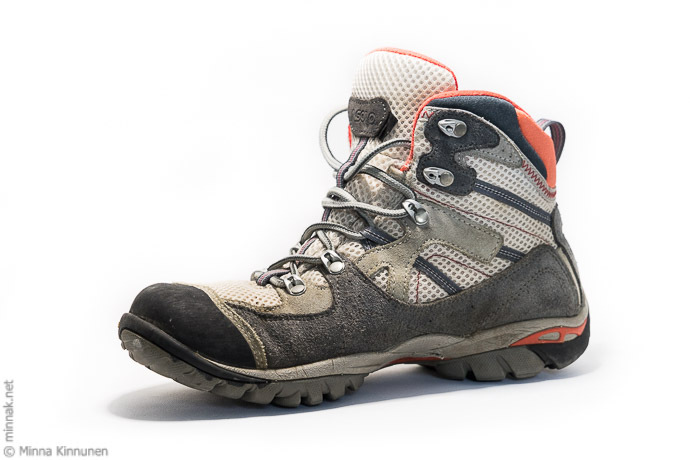 If you’re shopping for hiking boots, you’ll find that all of them boast with one or the other kind of waterproofness. Usually it means a Gore-Tex membrane, but I’ve given up on that. 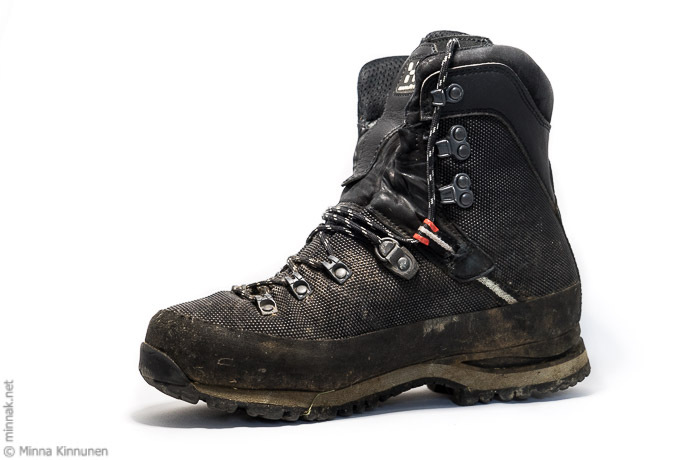 I’ve found that Gore-Tex has a really short lifespan so the boot itself outlives the membrane, meaning that you’re buying new boots just for the membrane. I decided to stop with that and got a pair of Lundhags boots, they’re leather and totally waterproof when you wax them properly. As long as the water doesn’t go over the shaft, you can ford creeks and walk across wetland with dry feet. And they will last forever (if they don’t, Lundhags will fix them for you). But considering that the Lundhags boots have no lining, it’s surprising that they are almost as heavy as the Haglöfs Gryms (a Grym boot is 663 g and Lundhags 626 g). But then again, even without any lining, I have had wet socks with the Lundhags boots without walking in water. My feet get warm quite easily, I mean I rarely need winter boots in the winter! And I don’t care how much any Gore-Tex or leather boots are supposed to “breathe” – they never breathe enough for me. So I easily end up with sweaty feet, which makes me wonder why I wanted to have waterproof boots in the first place. A couple of years ago, before doing any reading about this topic, I did a hike in my light non-waterproof low-cut hiking boots with mesh. The hike turned out to be a lot wetter than I had anticipated, which meant that most of the time I was hiking in wet boots. And I had no problems with it! With mesh, the water is squeezed out quickly and if you don’t need to go through wet ground all the time, the boots will feel warm and dry after a while. The difference between getting the boots wet from the outside or the inside is that if it’s outside, there’s half a chance they will get dry. If your feet are sweating during the hike, the boots will stay wet. 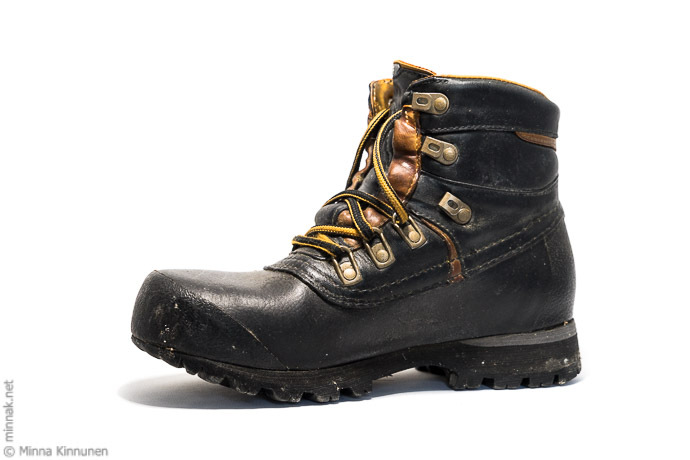 In fact, if you get your boots wet from the outside, it can be a nice cooling down effect on the feet. Plus that you kind of get a foot bath while you’re walking, meaning less smelly feet in the evening! The key to feeling comfortable in wet mesh shoes is that you have the right sock. My preference is silk, others will swear for wool. Anyway, back then, I was still under the illusion that I need stiff hiking boots for hikes so didn’t test those mesh boots in wet conditions again, rather, I just used them for walks on dry ground. Just think about it – you can ford creeks without taking off your boots, even when the water is high enough to go over the shaft! Because you just simply don’t have to care if you get your footwear wet. Not to mention that the mesh boots are almost guaranteed to be lighter than any waterproof boots! Needless to say that I am really looking forward to the hiking season. 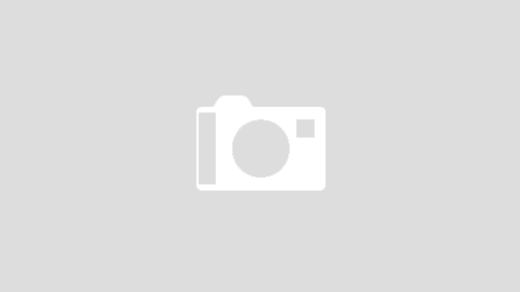 To find out how my footwear choice works out in practice, watch this space!